Saturday's Premier League lunch-time kick-off sees Burnley welcoming Manchester City at Turf Moor. Will the Citizens collect three more points? Don't miss our Burnley vs Man City betting preview with predictions, betting tips, probable lineups, team news, enhanced odds, special promotions and no deposit free bets on this weekend's matches! 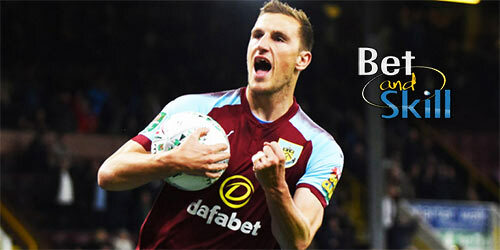 Ladbrokes offer 33/1 Manchester City to beat Burnley! Hurry up! Burnley have failed to win any of their last 9 games in all competitions, with their last Premier League success coming over Stoke City on December 12. They benefitted from an own goal - to claim a 1-1 draw away at Newcastle in midweek, a result that left them in 7th position in the top-flight table. The Clarets are the surprise package othus far but they have been unable to beat top 6 clubs, having lost to Arsenal, Liverpool, Manchester United and Tottenham at home this season. They have only scored more than once in a Premier League home match on one occasion this season. Steven Defour needs to undergo knee surgery and has been ruled out for two months. Ashley Westwood could retain his place in central midfield alongside Jack Cork while Aaron Lennon and Johann Berg Gudmundsson are expected to start out wide in a 4-4-1-1 formation. Ashley Barnes will probably continue to lead the line with Jeff Hendrick in the central support role, as Chris Wood remains doubtful. Sam Vokes is the alternative option in attack. At the back, Sean Dyche will hope to have James Tarkowski and James Ward available. Should they miss, Kevin Long and Charlie Taylor will join Ben Mee and Phil Bardsley in defense. Manchester City are 15 points clear of Man UTD in second and the Premier League title is almost theirs. They remained on course for a domestic treble after their FA Cup victory at Cardiff City last weekend. The Citizens have collected just one point from their last two Premier League matches on the road. Their sole league defeat this season came at Liverpool but Guardiola's men have an impressive away record with 31 points taken from a possible 36 on the travels. Anyway, Man City have lost just one of their last 18 direct encounters against the Clarets and have scored seven goals in their two matches against Sean Dyche's team this season - 3:0 in Premier League back in October and 4-1 in the FA Cup. David Silva is a huge doubt after picking an injury in midweek. John Stones also missed last time out and remains a doubt. This could see Ilkay Gundogan and new signing Aymeric Laporte to feature from the off once again. Danilo is a possible alternative to Oleksandr Zinchenko and Kyle Walker in the full-back positions while the injuries of Gabriel Jesus and Leroy Sanè will see Sergio Aguero and Bernardo Silva starting upfront alongside Raheem Sterling. The likes of Benjamin Mendy, Fabian Delph and Phil Foden also remain sidelined. Our team have already selected the highest betting odds on the Burnley vs Manchester City match winner market. Click on the 'Bet' button to jump on that price! Our professional tipsters are suggesting to bet on the following 4 betting tips. Of course, you can bet on singles or build a special accumulator by combining all (or many) the selections via a "request a bet" feature. Read here how to request a special bet. Looking for more betting preview on Premier League matches? Take a look at our Premier League betting tips section. "Burnley vs Man City predictions, betting tips, lineups and free bets (Premier League - 3.2.2018)"